Your New and Used Neighborhood Bookstore. 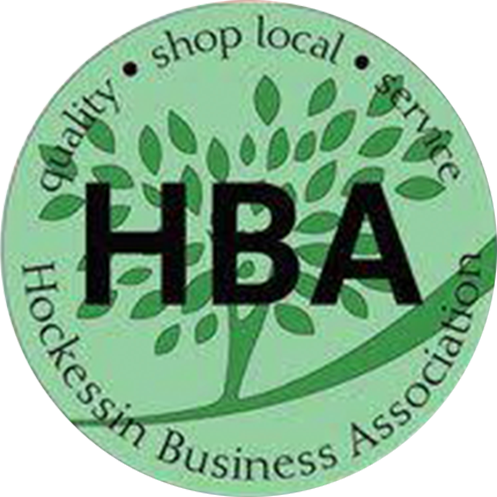 The Hockessin BookShelf is a new and used bookstore located in Hockessin, Delaware established in 2002. Like our state, the BookShelf, with 826 square feet of inventory space, is a small wonder. We stock a little bit of everything with our largest sections being fiction, mystery, romance and children’s books. 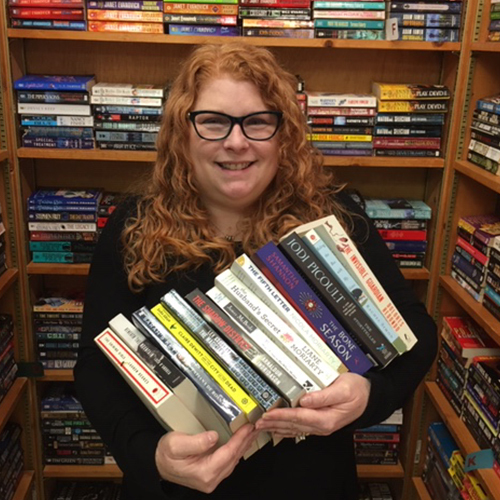 Rebecca Dowling, the Hockessin BookShelf’s owner came to bookselling after years of being a social worker. What began as a part time job, evolved into a full time passion. 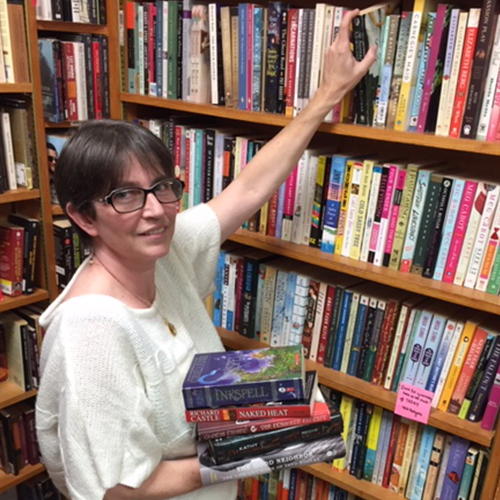 After over 10 years as a bookseller, Rebecca took over the store in 2007 from the original owner who retired to Hawaii. Events have become an integral part of our store, in 2014 we completed renovations which allowed us to hold more events in house. 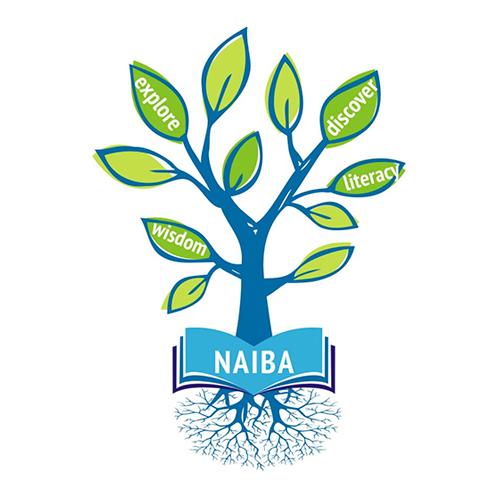 We now host authors, both nationally and locally published, non-author events, book clubs and workshops. For us the Shop Local movement is a way of life and our store’s health is dependent on the health of our neighbors. Maintaining strong community partnerships is very important to us; story time at the Woodside Farm Creamery during the summer, Book Groups at local restaurants, Cookbook Club at Delaware Nature Society’s Coverdale Farm Preserve, and collaborations with local schools and teachers are just a few examples. 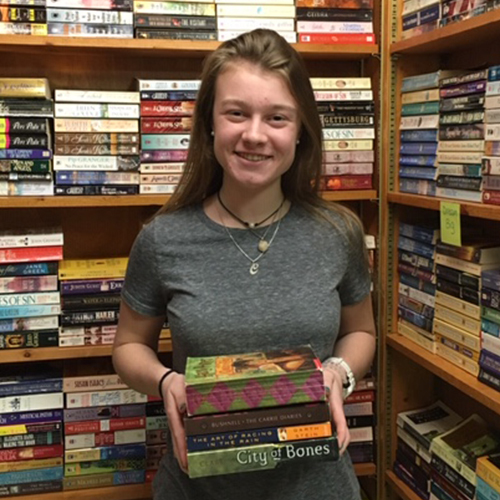 At the Hockessin BookShelf we are known for our customer service and a well-read staff — we love books and our reading habits are eclectic, covering all niches from genres to literature, biographies to children’s books. We have become the go to store for summer reading, book groups and fun in-store promotions. Describe your role at the Hockessin BookShelf - What do you do? Owner, Bookseller, Book Buyer, Eat Drink Read Book Group Leader, Facebook Admin, Event Coordinator, Manager of Mischief. What is your favorite book? The Master and Margarita by Mikhail Bulgakov. Besides reading, I also like to ...Yoga, hiking, food & wine, watching movies on my sofa with my husband, and let's be honest READING! Where is the best place to grab a quick meal in Hockessin? Drip Café, I love that the menu changes frequently but let’s face it there is nothing like a good pancake and a cup of joe. What books do you like to recommend? Contemporary Lit/Fiction/Children's Picture Books. What is your favorite part of being a bookseller? Being with the books & people who love them. Seriously, best job in the world. Describe your role at the Hockessin BookShelf? Store Manager, Bookseller, Graphic Designer, Social Media Coordinator, Mystery Lovers Book Club Leader. What is your favorite book? I love books and it’s hard to choose, so I will go with the first book I truly loved, Still Life with Woodpecker by Tom Robbins. Besides reading, I also like to … Spend time with my daughters and stream tv, play mah jongg, go to wine tastings, bake, create event decor, but mostly READ! Where is the best place to grab a quick meal in Hockessin? Redfire Grill - I love their chopped salad! What books do you like to recommend? 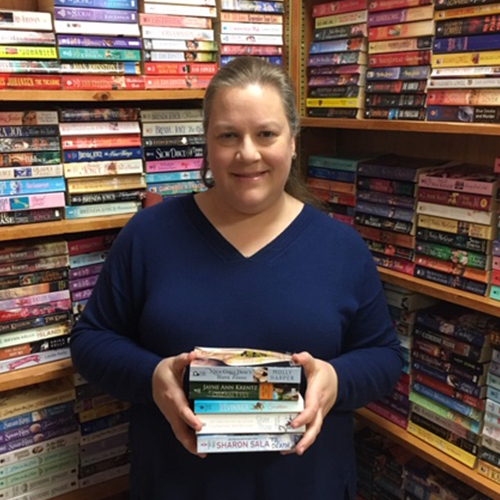 I like mysteries and contemporary fiction - I usually recommend Lisa Unger, Harlan Coben, and Vaseem Khan; Kristin Hannah, Diane Chamberlain, and Joshilyn Jackson. My guilty pleasure is magical realism and I recommend Lev Grossman, Jordanna Max Brodsky and Samantha Shannon. What is your favorite part of being a bookseller? Smelling the books, holding the books, talking to our customers about books… and opening a new box of advanced reader copies and discovering what is inside! Describe your role at the Hockessin BookShelf? I'm the romance coordinator, I change out the romance displays regularly and write the monthly romance readers newsletter. What is your favorite book? Wow, that's really hard, I think I'll say I'll Stand by You by Sharon Sala. Besides reading, I also like to … I spend time with my dogs and I love to bake and cook. Where is the best place to grab a quick meal in Hockessin? Harvest Market – I love their grab and go section if I forgot my lunch! What books do you like to recommend? I love to recommend romances and mysteries, interesting non-fiction, and fun kids books. What is your favorite part of being a bookseller? I love helping people find something great to read, especially the kids who love to read. Describe your role at the Hockessin BookShelf? - What do you do? Bookseller. I enjoy seeing all the new and classic books that arrive and are purchased. What is your favorite book? My favorite childhood book is A Wrinkle in Time. I still have my childhood copy. Besides reading, I also like to ... I enjoy traveling, Disney and scrapbooking. Where is the best place to grab a quick meal in Hockessin? I absolutely love the vegan pizza at Pizza Pro, recently reopened as Cotti's Pizza. What books do you like to recommend? I read almost every genre. Currently I am really enjoying historical fiction set during WWII. What is your favorite part of being a bookseller? I enjoy recommending books I have liked and discussing with customers what books they like too. Describe your role at the Hockessin BookShelf - What do you do? My role at the Book Shelf is a bookseller! I shelve, call reserves, help customers find books, and lots of other little projects! What is your favorite book? My favorite book is Carry On by Rainbow Rowell, though that hurts me to say because there are so many books that I love!! Besides reading, I also like to ... I love writing short stories, dancing around my room, laughing with my friends, and hanging out with my family. (And reading. I just can't exclude reading). Where is the best place to grab a quick meal in Hockessin? In my opinion, the best place to grab a quick meal in Hockessin is Two Cousins! They make a mean cheese-steak. What books do you like to recommend? My favorite books to recommend are Young Adult fiction and anything for kids! It's so fun to think back to what I was reading at their age. What is your favorite part of being a bookseller? 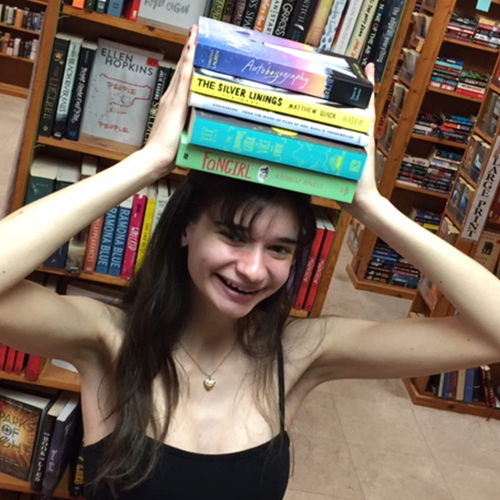 My favorite part of being a bookseller is being surrounded by people who like to get lost in a different world just as much as I do! Oh, and the fact that my bookshelf has grown exponentially since working here! Describe your role at the Hockessin BookShelf - What do you do? At the Hockessin Bookshelf I’m a teen bookseller. I shelve the books our customers bring in, as well as put them into the system, and check the customers out. What is your favorite book? My favorite book is All The Bright Places by Jennifer Niven. Besides reading, I also like to ... Walk my dog, go camping, hike and spend time with my brother. Where is the best place to grab a quick meal in Hockessin? Wawa! They have so many options and are always there when I need to make a late night run for food or early morning coffee before school. What books do you like to recommend? The books I recommend are Fantasy and Young Adult. 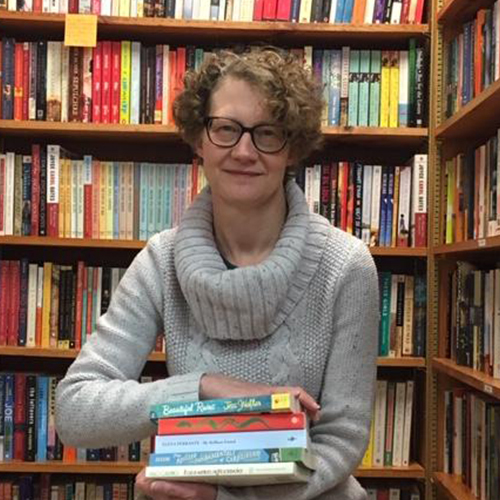 What is your favorite part of being a bookseller? My favorite part about being a bookseller is helping someone find a new book, maybe even their new favorite book. 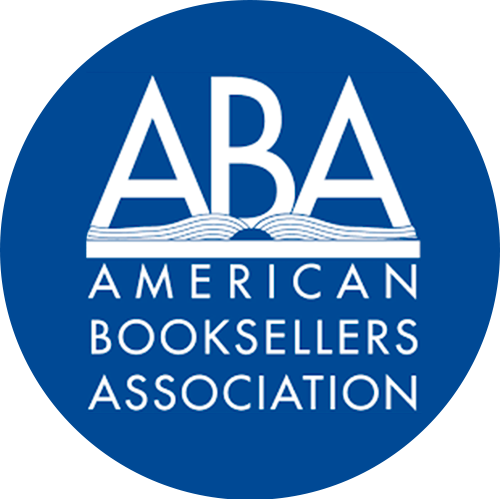 If you are interested in consigning your book with us, please download our form.